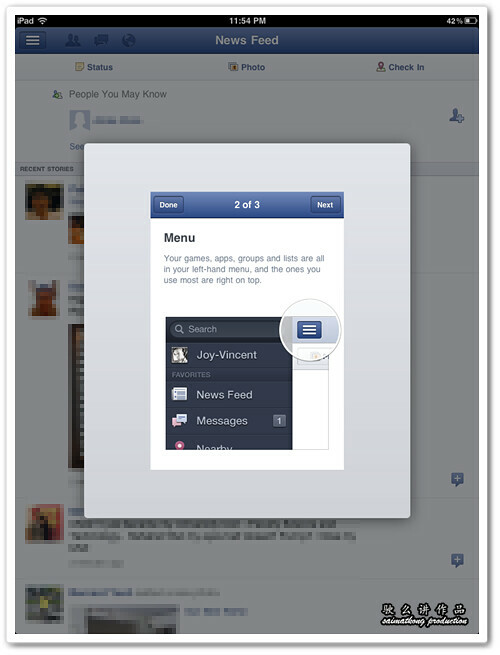 The most obvious app missing from the iPad has been Facebook and finally it’s released! I have installed into my mom’s iPad and the user experience is really awesome! 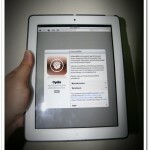 This Facebook app for iPad also support Multi-Touch Gestures! 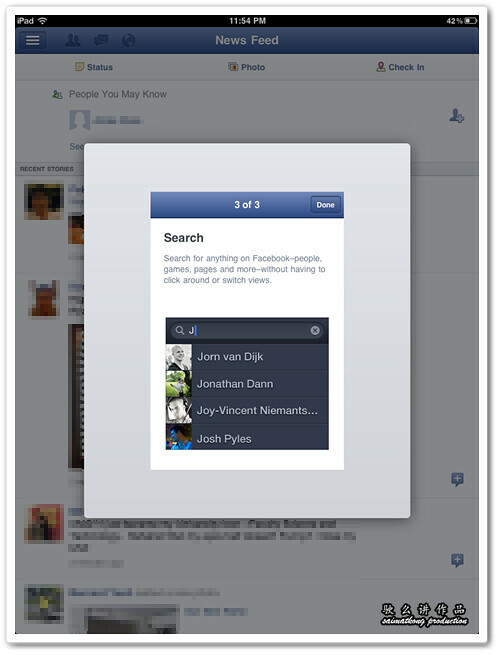 The new Facebook app for iPad really highlight the multitouch awesomeness of the iPad! 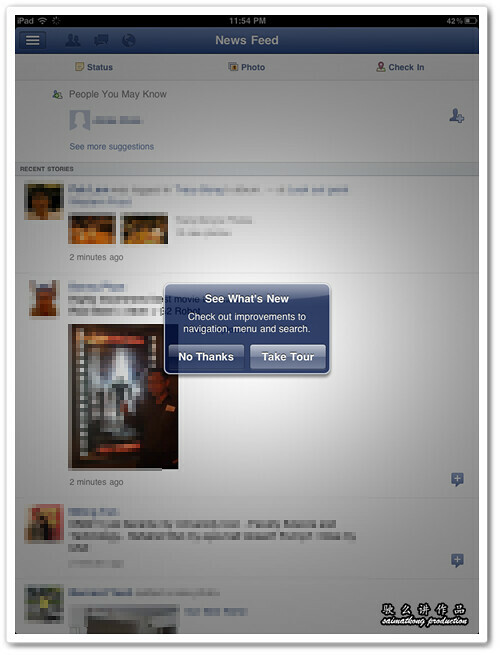 When you first login to the Facebook for iPad app, you can choose to Take Tour on how to use the app. 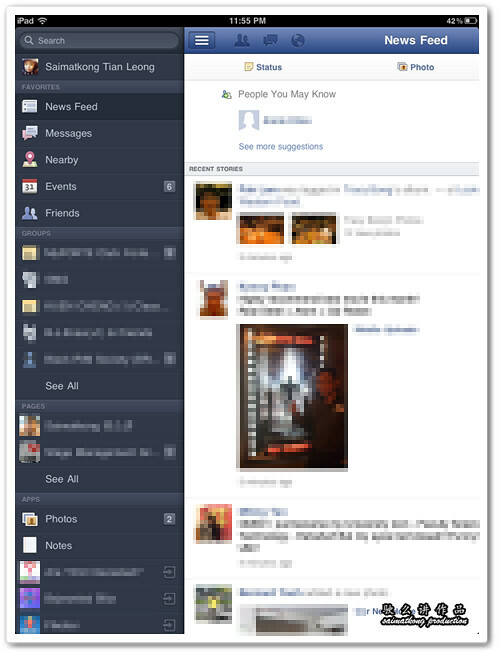 There’s a navigation sidebar on the left side of the screen to search, open your Facebook profile, check out the News Feed, Messages, Events, Friends and more. 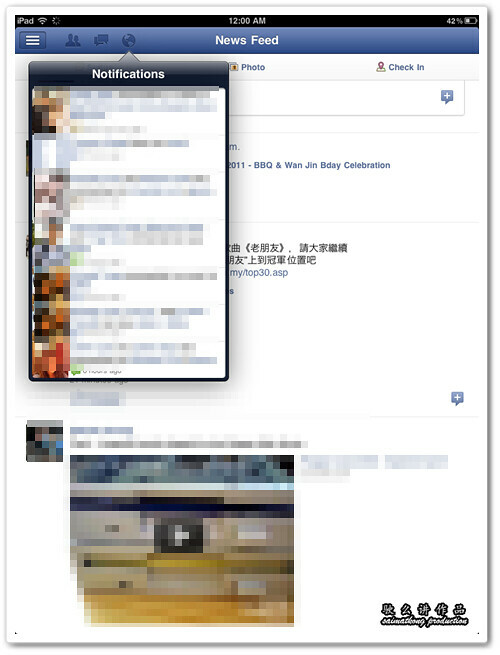 Upper toolbar gives you access to friend requests, messages and notifications while your news feed is still on the background! You will not loose where you checking on the feed that you are reading halfway! That’s the best part that I love! 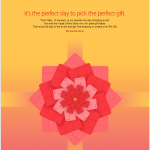 Your photos take on new life on the iPad. They’re big, high-res and easy to flip through—like a real photo album. 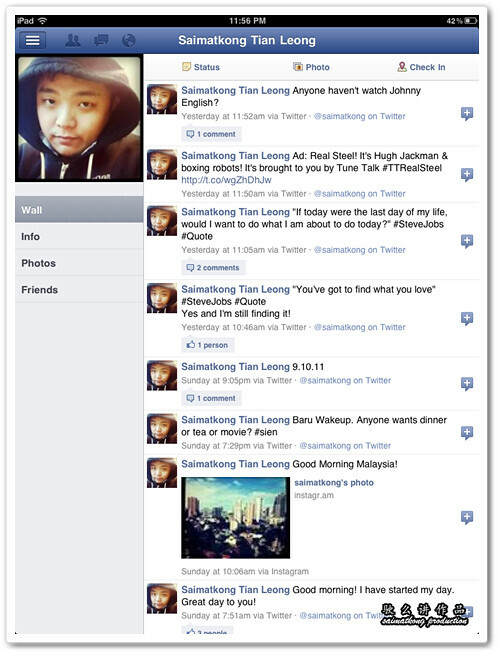 When you search for your friends, the profile photo of your friends also bigger and look very organize and awesome! 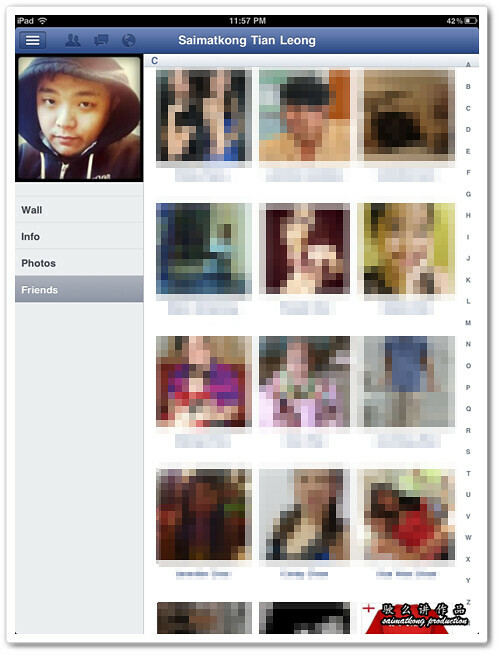 With less on the screen, it’s easier to zoom in on your friends’ photos, updates and stories. 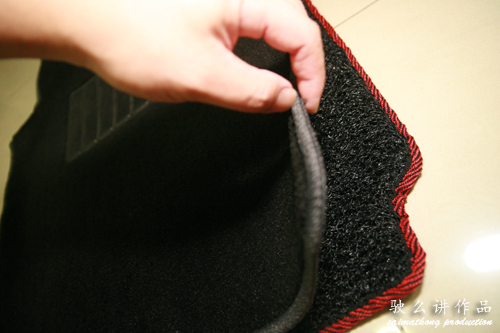 Just tap, slide or pinch to get from one screen to another and back again in no time. Use simplified navigation to send a message, see your notifications or browse your bookmarks without switching screens. Play your favorite Facebook games wherever you are, and on a bigger screen. 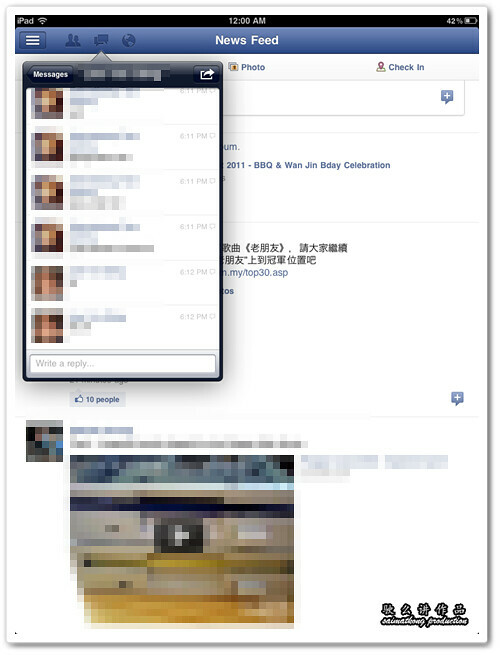 A simple dropdown menu makes it easy to scan and send messages without visiting your inbox. 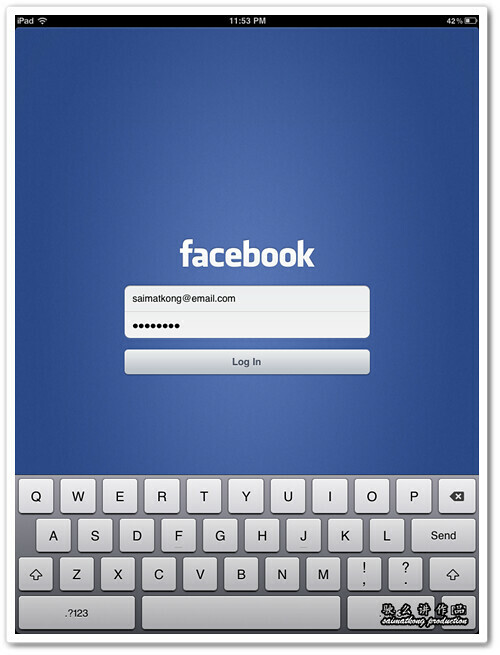 You could also add multiple Facebook accounts / profiles into the Facebook for iPad app so you could switch between the profile easily. 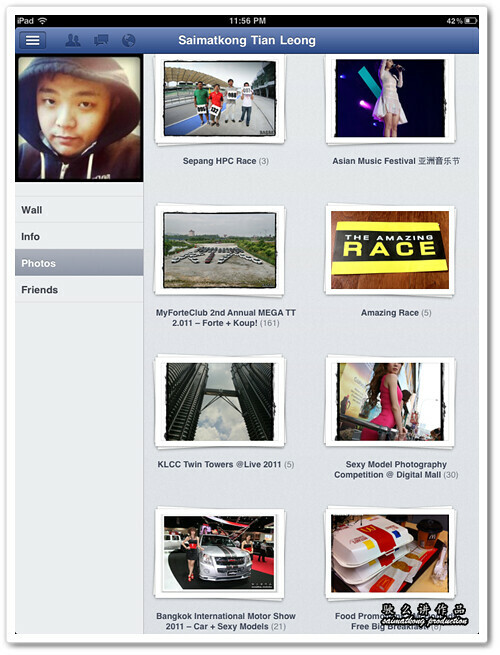 Download the new Facebook for iPad app now! 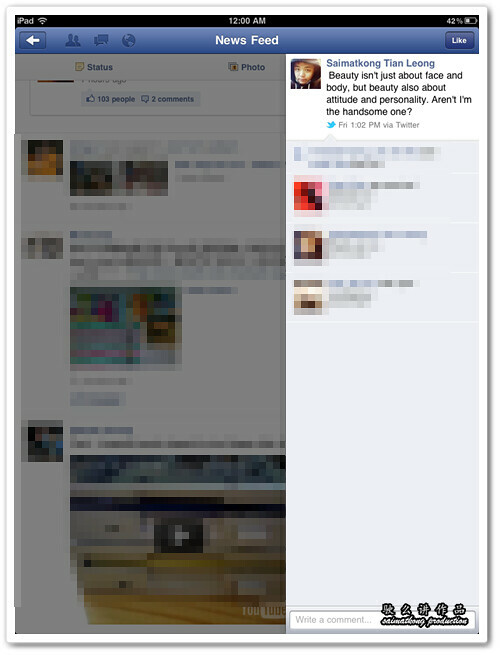 A New Way to Experience Facebook! 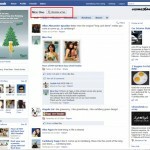 Problem : The Facebook iPad app might crash or takes a long time to load when you first open the new Facebook iPad app. Don’t worry! 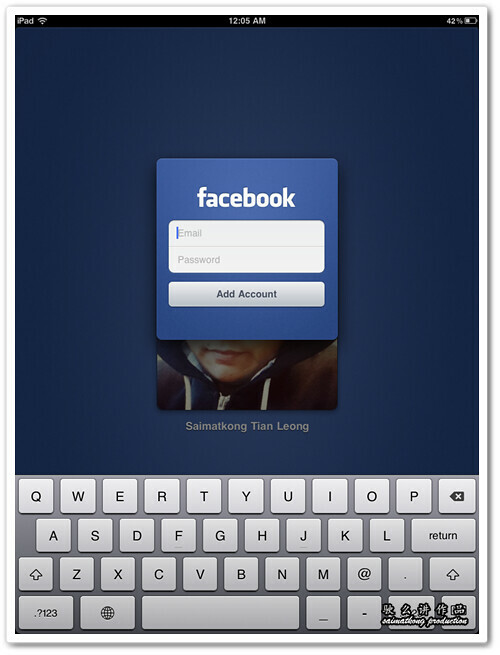 Solution : I kill the running Facebook app and run the app again few times and can load without any problem. 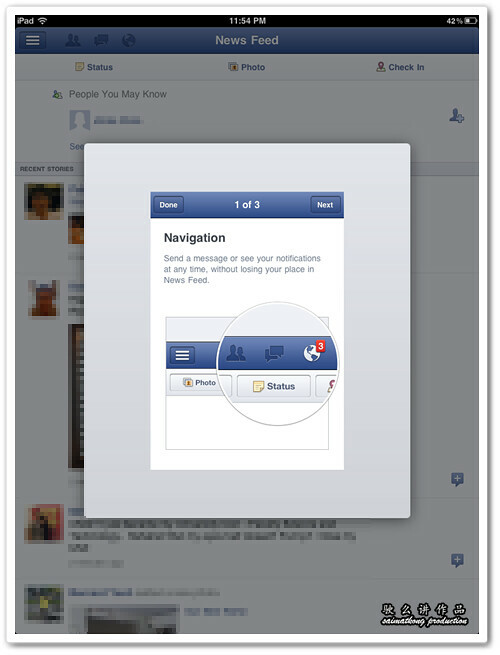 Or you may delete the Facebook app on your iPad and reinstall. 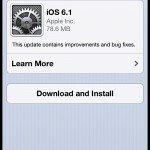 Apple releases iOS 6.1 update! Update now! 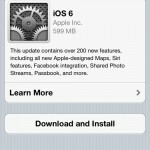 Download & Update iOS 6 for your iPhone, iPad, or iPod touch now! Nice One! Win Private Party Invites With FHM Girl Next Door!